Aubrey McClendon, the former energy company chief executive who was indicted in federal court on Tuesday, died in a car crash Wednesday, police said. He was 56. 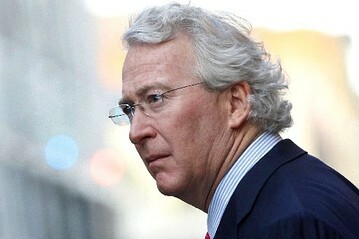 McClendon was the founder and ex-CEO of Chesapeake Energy. He was also a part-owner of the Oklahoma City Thunder basketball team. He had been charged by the Justice Department with conspiring to rig bids for oil and natural gas leases with other companies. McClendon denied any wrongdoing. First indicted then dead in car wreck. Sounds like it might have been suicide. It's easy to get a body. His death, whether accidental or otherwise, will shake Oklahoma to its core. People may not be as surprised or shocked as you think. I recall seeing him on the "60 Minutes" segment "Shaleionaires" from 2010. You gotta love it when they deny wrongdoing and then commit suicide. I think Bud Dwyer had been convicted and was to be sentenced the following day. BIRTHERS! TRUTHERS! CLIMATE DENIERS! SCALIA CONSPIRATORE! Probably had a few "friends" to protect. Or maybe had some help? Fewer questions and you don't need to get someone in a private aircraft. Chesapeake Energy's Ken Lay perhaps? 26. It's easy to get a body. Pay off a morgue that is sending one out to be cremated. That this is an Energy company, and Enron was also an energy company is a noteable coincidence. That both died right before turning themselves in for prison is also notable. And, Lay's family quickly cremated him so there was no body, and then his son still took it to court and cleared his name completely because he couldn't be tried because he was dead. A weird thing to do. Lay's death was also suspicious - his personal doctor who declared him dead just happened to be on that ski vacation with him and I believe there was some issue a nurse brought up at the hospital over it. Unless he had an unique policy - suicide means no life insurance payoff. If you have the policy for many years, I thought that you were covered for that. They do that to discourage someone from getting a policy and then killing themselves, and figure someone is not necessarily going to plan that years in advance, and then eventually go through with it. But I don't know much about life insurance, so I could be mistaken. 5. His death, whether accidental or otherwise, will shake Oklahoma to its core. It has upset me, and I have zero connections to the oil industry here. 14. People may not be as surprised or shocked as you think. He treated Chesapeake like his personal piggy bank and was pretty loosey goosey with the company's money and resources. He was not someone that you would want to invest your money with. at Chesapeake, and were thrilled to have a decent job right out of college. 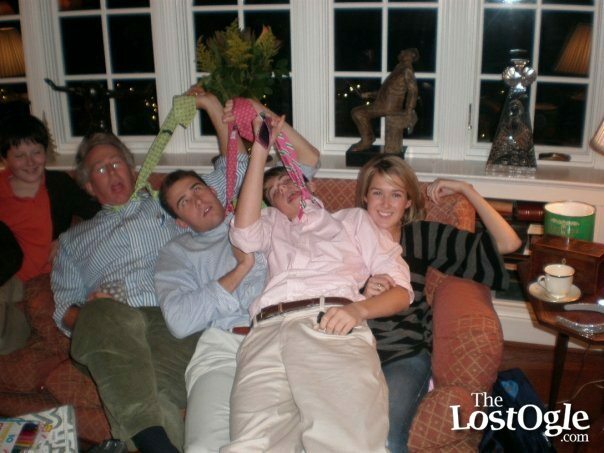 I didn't know, until today, that he was a member of the Kerr family. Interesting to see how the story unfolds.. But one thing is for sure, people up here in Seattle sure aren't sad one bit. Aubrey McClendon, the former CEO of Chesapeake Energy Corp. and one of the most successful energy entrepreneurs of recent decades, died in a car wreck Wednesday at age 56, Oklahoma City police confirmed. McClendon died after driving his vehicle into a wall, CNBC reported. McClendon's death comes one day after the U.S. Department of Justice indicted him on a charge of conspiring to rig bids for crude oil and natural gas leases while at Chesapeake from late 2007 to early 2010. When the Oklahoma entrepreneur launched his company, Chesapeake Operating, in 1989, the U.S. was well past its boom in oil and gas production. But engineers in Texas, especially George P. Mitchell, were making exciting discoveries in the oil patch, hinting that vast stores of crude oil and natural gas could soon be unleashed from shale rock formations deep underground. McClendon pounced. Chesapeake in the early 2000s began feverishly snapping up natural gas leases and wells across Texas, Arkansas and Louisiana before heading east to Pennsylvania and Ohio. The rest of the energy industry soon followed suit, sparking a U.S. shale drilling boom and transforming the U.S. from a bit player to a major force in the global energy sector. 11. May he rest in peace. 12. I recall seeing him on the "60 Minutes" segment "Shaleionaires" from 2010. The term "shaleionaires" refers to land owners who sign shale fracking leases which earn them millions of dollars in natural gas and oil royalties. McClendon, being tall, impressive and articulate, presented himself well on the segment. 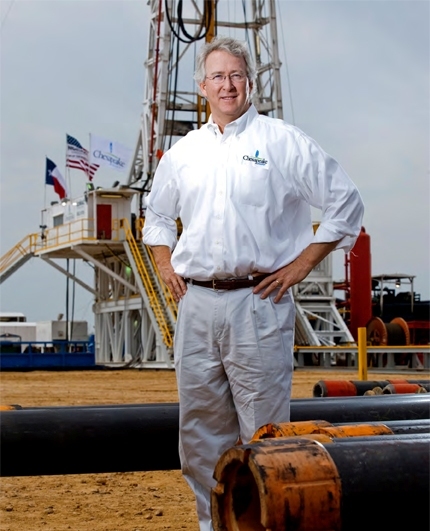 At the time, he was CEO of Chesapeake Energy, a company which he founded after he earned his degree in petroleum engineering at Duke University. A few years after the "60 Minutes" segment aired, Chesapeake energy forced him out because of unwise oil and gas leasing decisions which he had made. did not realize that you could get a degree in petroleum engineering there. That doesn't seem right. 13. You gotta love it when they deny wrongdoing and then commit suicide. I feel sorry for his family. The coward left them to clean up his mess. He was about to be indicted the following day, meaning he would have lost his pension, and his family would be left with nothing. He held a press conference to deny wrongdoing, then proceeded to blow his brains out on Live TV. It is still available on the internet and is truly shocking. 22. I think Bud Dwyer had been convicted and was to be sentenced the following day. The event made big news here in PA. His conviction arose out of his granting a computer services contract on a no-bid basis. The law allowed him to stay in office until sentencing. Once that happened, the next day, his family would have lost all pension benefits. His wife collected some $1.3 Million following his death. 21. You win the internet! 23. BIRTHERS! TRUTHERS! CLIMATE DENIERS! SCALIA CONSPIRATORE! WHO???? >>>> OBAMA? BIDEN? HILL-BILL? WHERE ARE YOU ALL? HEADED TO OKC?? 28. Aubrey is a jerk. The Chesapeake Energy chief on his compensation, the 'opportunity' in $2 natural gas, his brawl with the coal industry, and a few words on President Obama. "Just in defense of my state, we are the only state in the nation where not one county voted for this president. So, you need some cocktail-party trivia? Most people would pick Idaho or Utah but we take the cake." He means this as a compliment—to Oklahomans. He often trash talked the President. He probably thought he was too powerful to be indicted by his Justice Department. 29. Probably had a few "friends" to protect. Or maybe had some help? As I said elsewhere too. This was no accident. Police Sgt. Ashley Peters said McClendon was the only person in the SUV when it slammed into a concrete bridge pillar shortly after 9 a.m. Most guys who commit suicide by car wrap themselves around a bridge pillar at 100 mph...and it appears McClendon did exactly that. So, I'm comfortable with the idea he offed himself.